WAS $26,990. CARFAX 1-Owner. Back-Up Camera, Rear Air, Onboard Communications System, Satellite Radio, ENGINE, 3.6L DOHC V6 DI WITH VARIABLE. AUDIO SYSTEM, CHEVROLET INFOTAINMENT. Aluminum Wheels. 3.6L DOHC V6 DI WITH VARIABLE VALVE TIMING (VVT) (305 hp [227.4 kW] @ 6800 rpm, 264 lb-ft of torque [356.4 N-m] @ 5200 rpm) (Includes E85 FlexFuel-capable with (FE9) Federal emissions. When ordering (NE1/YF5) Northeast/California emissions for E85 include (NC7) Federal emissions override for Fleet or Government order types only. ), TRANSMISSION, 6-SPEED AUTOMATIC, ELECTRONICALLY-CONTROLLED WITH OVERDRIVE, AUDIO SYSTEM, CHEVROLET INFOTAINMENT SYSTEM WITH 8 DIAGONAL COLOR TOUCH-SCREEN, AM/FM STEREO with seek-and-scan and digital clock, includes Bluetooth streaming audio for music and select phones; voice-activated technology for radio and phone; featuring Android Auto and Apple CarPlay capability for compatible phone and Shop with the ability to browse, select and install apps to your vehicle. Apps include Pandora, iHeartRadio, The Weather Channel and more (STD). KBB.com explains Chevy's largest 4-door is both spacious and comfortable, while also delivering solid fuel-economy numbers. 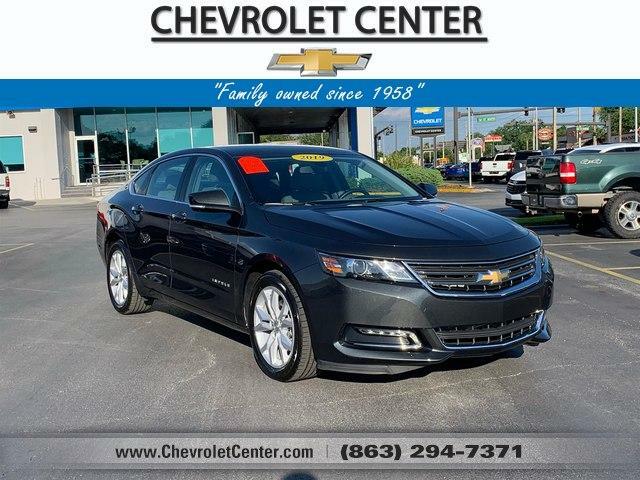 You'll like this car if you want a large and plushly appointed sedan with good design, great comfort and trunk space that actually tops many SUVs..